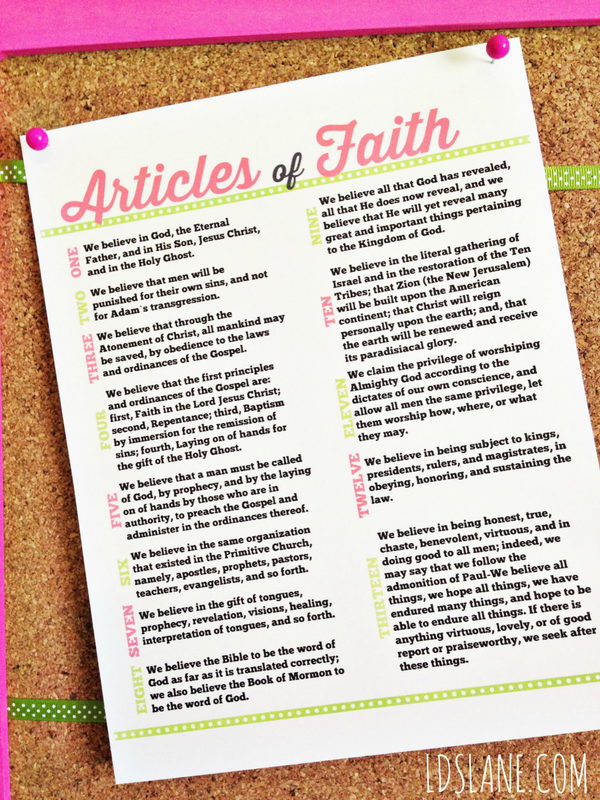 My daughter has this Articles of Faith page hanging on her cork board so she can always see it! Thanks Renee! So glad you could use them for your girls! 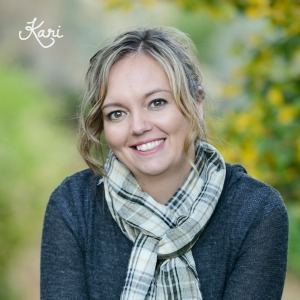 How sweet are you Karin? You are very welcome. Thank you, Thank you, Thank you! I've only just found your blog, but I've printed almost 20 pages in under 10 mins! 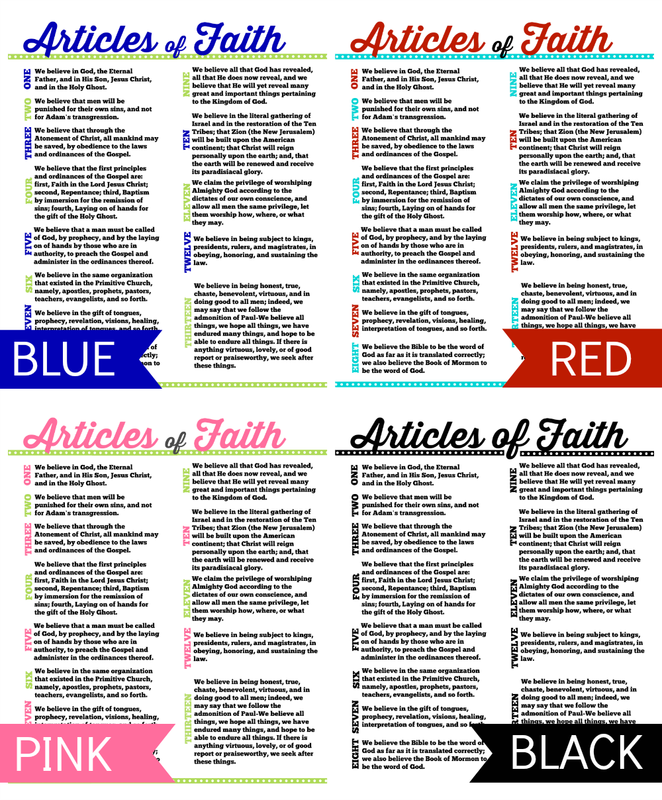 All of your Articles of Faith printables are so beautiful! I can't wait to discover other beautiful things on your blog to share with my family as I teach them the gospel! Thank you for sharing your talents! Amanda, Thank YOU for taking the time to comment. It makes my day! This is great. Thanks so much for sharing! Thank you! Just printed this for my kids! I hope your kids enjoy them! You're welcome. Thanks so much! This is so cute! Love it! Using it for my Activity Days girls! I'm so happy to receive comments like this. I hope your Activity Days girls love them and are inspired to memorize the articles of faith! You're very welcome and congratulations on your son's baptism. I bet it was a beautiful day for your family!